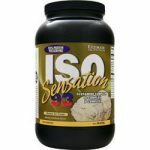 Deal Categories: Protein Powder and Bodybuilding.com Coupons.Stores: Bodybuilding.com. Add 2 tubs to your cart (mix & match from all flavors). Mix & Match the 2 flavors.